Coral reefs are predicted to decline under the pressure of global warming. 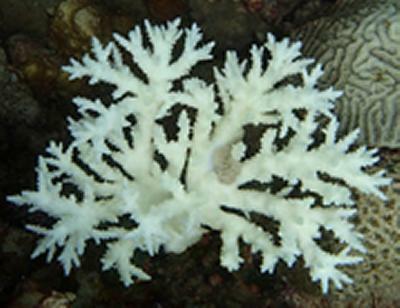 However, a number of coral species can survive at seawater temperatures even higher than predicted for the tropics during the next century. How they survive, while most species cannot, is being investigated by researchers at the University of Southampton. We tend to associate coral reefs with tropical seas of around 28 degrees Celsius, where even slight warming can have devastating effects on corals. However, in the Arabian/Persian Gulf, corals survive seawater temperatures of up to 36 degrees Celsius every summer, heat levels that would kill corals elsewhere. In their study, the Southampton team worked closely with researchers from New York University Abu Dhabi (NYUAD) to select and characterise model corals from the Arabian/Persian Gulf, which will enable future molecular-scale investigations into why they can tolerate heat stress. “In Gulf corals, both the coral host and the associated algal partners need to withstand the high seawater temperatures,” says Dr Wiedenmann who led the study.